After they spent several minutes searching on, under and all around the dresser, she happened to spot the game—buried in his bed. He had been playing with it there the night before and broke a rule by falling asleep with it, says Ms. Ballagh, of Clarksville, Tenn. Frustrated, she told Kaden he would get in less trouble if he would "just be honest and tell the truth." 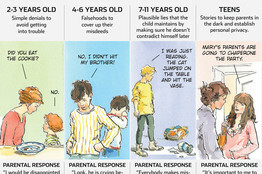 It's a tense moment—one almost all parents experience: You look in your child's eyes and realize: "He's lying." Lying is, in truth, a milestone of normal child development and starts as early as age 2. More than one-third of 3-year-olds will lie to keep from getting in trouble, based on research led by Victoria Talwar, an associate professor of developmental psychology at McGill University in Montreal. By ages 4 to 7, more than half of children will lie to avoid punishment, as Ms. Ballagh believes Kaden did, or to gain attention or approval; the same pattern appears in studies in Britain, West Africa and China. Researchers are taking a new interest in children's lying, using experimental techniques to explore its role in cognitive and moral development and applying the knowledge to court cases and investigations of bullying and other problems. Even though lying is an expected behavior among children, parents influence whether it tapers off or escalates by serving as both police and models of desirable behavior. The challenge with preschoolers is helping them distinguish between making up a fairy tale and telling a harmful lie. When Krista Hein found a bowl of cereal on the floor, her 4-year-old daughter Syra had an explanation: Monkey, the family's Chinese pug, did it. 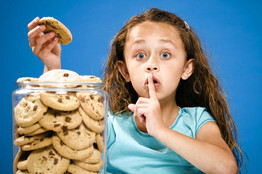 Another time, Syra grabbed a cookie from the kitchen, telling her mom that Daddy gave her permission. Ms. Hein loves Syra's lively imagination and doesn't want her to stop telling stories about princesses and magic kingdoms. To teach her that lying to cover up a misdeed is bad, she talks about potential consequences, such as losing friends or hurting others' feelings. If Syra honestly admits she broke a rule, Ms. Hein, who lives in Albuquerque, N.M., expresses her approval. 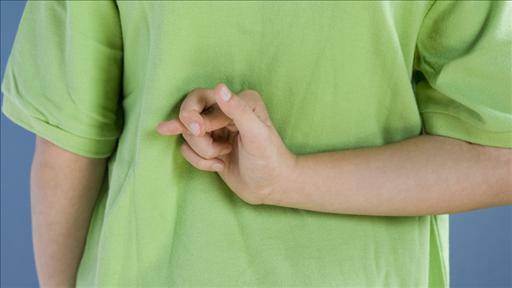 Parents are remarkably bad at detecting their children's lies. In experimental studies of preschoolers, parents were able to detect accurately when their children were lying only 53% of the time—a little better than chance, according to a 2010 study led by Dr. Talwar. That falls to 33% by the time their kids are 6 to 8 years old. And parents of 9- to 11-year-olds have only about a 1 in 4 chance of knowing when their kids are lying. Moms and dads have what researchers call "a truthfulness bias." They want and need to believe their kids are telling the truth. Lying is, in truth, a milestone of normal child development and starts as early as age 2. And "there's no Pinocchio's nose" to serve as a reliable signal that a child is lying, Dr. Talwar says. Sometimes kids will glance away uneasily, shift from one foot to the other or cross arms in front of the body—but not always. Also, kids get better at concealing lies as they grow older, says researcher Angela Crossman, an associate professor of psychology at the John Jay College of Criminal Justice at City University of New York. And the cleverest lies are often told by the most focused and socially savvy kids. To tell a plausible lie, children must be able to understand how others see things. They also have to be able to maintain an alibi in the face of parental questioning and scrutiny. Children with good "executive function" skills, including self-control and the ability to focus on tasks, tend to be more skillful liars, Dr. Talwar says. Adults set a confusing example by lying once a day, on average, based on a 1996 study led by researchers at the University of Virginia. Daily diaries of 147 participants' interactions with others showed that about 1 in 4 of the instances were white lies. Most of the others were attempts by study participants to appear kinder or smarter to others, or to avoid embarrassment. Parents who lie for convenience's sake, by calling in "sick" at work to attend a sporting event, for example, suggest truthfulness doesn't matter. Or they might give mixed signals, such as, "Get A's at all costs," but "Don't cheat," fostering the kind of stress that can lead to cheating. 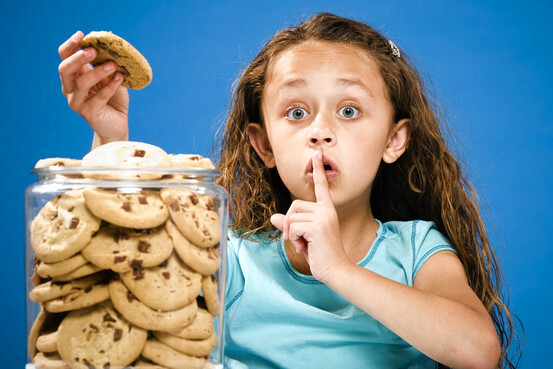 As children get older, they typically tell more white lies and fewer harmful ones. In a 2010 study of 120 children ages 7, 9 and 11, researchers at Beijing Normal University in China found kids increasingly told altruistic lies to avoid hurting others' feelings. By the teen years, some kids lie to pull away from their parents and gain privacy, but often lack the skills to handle the resulting challenges. On CafeMom.com, where lying generates numerous posts from parents, one mother wrote that her teen lied to cover up that he was being bullied at school because he wanted to handle it himself. When the mom realized why her son was struggling, she arranged counseling to help him cope. More than half of parents have been troubled by a child who lies regularly, usually between the ages of 2 and 7, according to a recent poll of 125 parents by the parenting websiteBabyCenter.com. Harsh punishments don't work very well, research shows. Instead, psychologists say parents should get professional help if a child's lying becomes a habit or disrupts normal activities, such as friendships or school. Lying can be one sign of a what mental-health professionals call conduct disorder if children also have other problems, such as aggression, truancy from school or drug abuse, the American Academy of Pediatrics says. Creating an environment where truth is valued can help clear the fog. Kelly Gorski's 3-year-old daughter Lucidia was confused at a recent dinner gathering when she saw a guest compliment the host on her cooking, just minutes after they had overheard the same guest say privately that she disliked the meal. Ms. Gorski explained that the guest was trying to avoid hurting the host's feelings. Then she gave Lucidia an alternative: "You can tell the truth without hurting someone" by finding something else to praise—saying, for example, that she appreciated the effort in preparing the meal, says Ms. Gorski, of Allentown, Pa. The lesson, Ms. Gorski says: It's important "to be an honest person, but there are many ways to communicate the truth without being blunt or forceful or harsh."